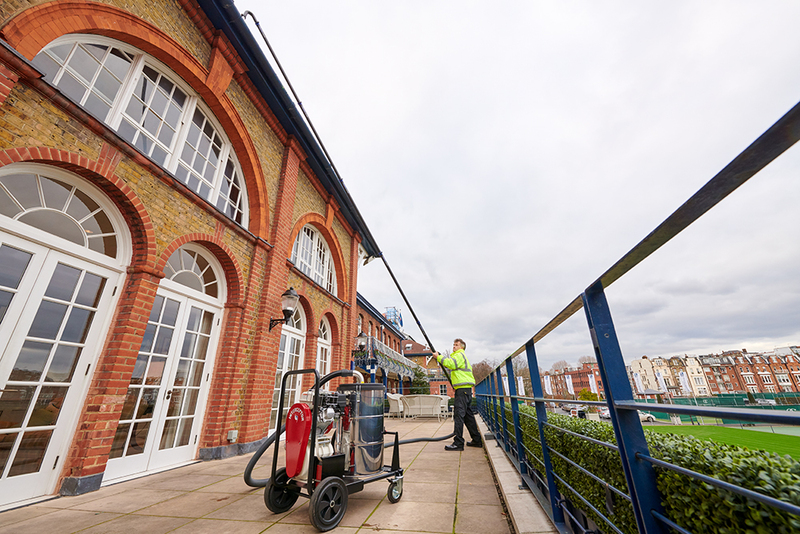 Since the launch of the SkyVac Interceptor this year, the brand new ‘World’s Most Powerful’ gutter cleaning system has been causing a storm with Facilities Managers and Contact Cleaning companies throughout the UK and globally. 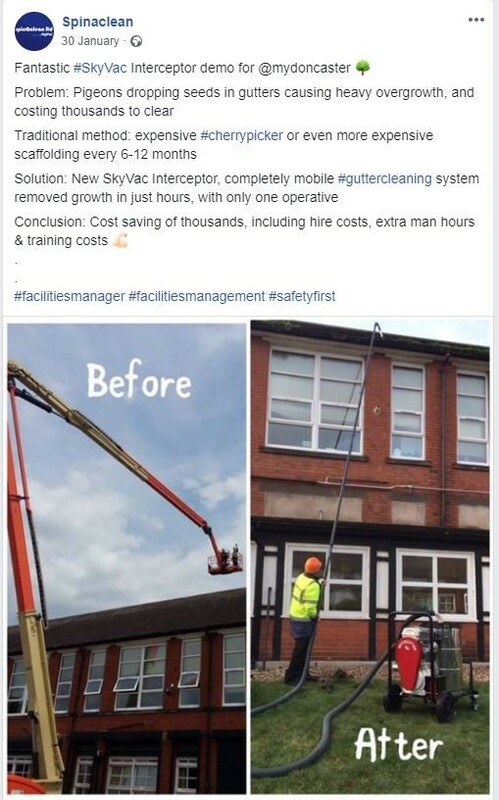 Invented by Spinaclean’s MD, Andy Whiting the robust system features the ‘World’s First’ on-board power plant making it completely independent of any electrical supply requirements, eliminating all hazards associated with cleaning large commercial and domestic buildings at height. Sitting on a robust all terrain multi-directional trolley and with a worldwide compliant Honda Engine, its sleek design enables users to access previously inaccessible areas with ease. Impressive specifications include a rapid airflow of 8,000 litres of air per minute, a huge 90-litre drum & a massive 155” water lift for the extreme suction of both solids and water, ensuring precision cleaning up to 40ft from the safety of the ground.